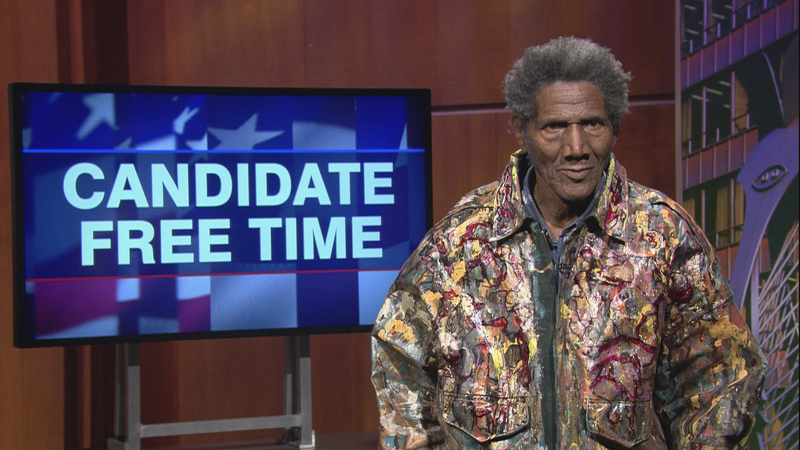 Video: George Blakemore tells voters about his platform. Learn more about Candidate Free Time. Family: George Blakemore was born to George and Ellen in Butler’s Project in Fort Worth TX. His family moved out when he was three years old. George Blakemore Sr. worked at the railroad and later became the owner of several businesses including a pool hall, shoe shine parlor and a gasoline service station. Ms. Blakemore also became an entrepreneur owning property that she rented out when she wasn’t attending to her duties as a stay at home mom and housewife The Blakemore’s had five children, George being the second eldest and only son. George comes from a long line of educators including sisters, uncles and an aunt who started the privately owned Black elementary institution in Fort Worth. Occupation: Not foreign to hard work and ambition, George had all the random odd jobs a young man could find the time for. From a summer of picking cotton to a being a busboy and a dishwasher, a shoeshine man, convention circuit worker to eventually following his family into the field of education. George began his teaching career as a high school political science and history teacher in Fort Worth Texas. He taught political science in a high school in Oklahoma City Oklahoma before migrating to Chicago, Illinois. George continued his teaching career as a political science teacher in the Chicago public school system. Again following in his family’s footsteps George became a businessman. George got his start as a street vendor on Maxwell street. His drive and determination took him all over the nation, selling goods and wares from coast to coast. Over the past 30 years, George has worked as an engaged civil servant watchdog; mastering political arenas by living the experience. Political Experience: George has over 30 years of experience monitoring State, City and County governments. Known for his outspoken knowledge on the issues and no-nonsense attitude George has been able to have a tremendous impact on Illinois government. His commitment as an activist help pave the way the reinstatement of the public’s right to speak at public meetings in City and county government. George also forged the way for the recognition of the late Harold Washington by spearheading the renaming of the Harold Washington Library Stop in his honor. George filed numerous lawsuits against businesses for failure to provide reasonable accommodations. George fought for and got benches for the public enjoyment in Mariano’s Park. George also attended the first black national convention held in Indiana. Working the Jesse Jackson for president circuit George was able to experience the political world from varying views. The 3rd District sits solely within the city limits, therefore, it is essential and prudent to have strong working relationships with the City of Chicago. My vision for the office involves better collaborative efforts with the city to ensure services and resources are available and tapped. The 3rd District is economically diverse with median incomes ranging from 300k to 20k, the needs of the district vary and so should the available resources. There should be quality and equity of available resources. The taxation issue plaguing the Assessor’s office needs correction. The vision is to right a wrong by correcting a long and egregious tendency of discriminatory practices towards black and brown communities. Resources in parks, schools, and jobs need to be enjoyed by across every part of the district. Finances and resources are already scarce and unstable in certain parts of communities. George Blakemore seeks to close the gap. George Blakemore believes reversing the city’s sanctuary city status will free up resources to address the needs and care for legally residing citizens of this great city. George believes charity starts at home. Hello to our citizens of the great county of Cook. My name is George Blakemore and I am running for County Commissioner of the 3rd District of Cook County. I believe the most pressing issues facing 3rd District constitutes are (1) taxation without representation, (2) unequal education, (3) lack of jobs and (4) sanctuary city status. To address the issue of taxation without representation my goal is to engage the constituency and vote the base. I intend to truly act as the people’s representative. I will inform 3rd District constitutes of the issues as they arise letting them decided how I vote on County Board issues. As it relates to unequal education, I plan to institute sufficient and competent human and technical resources to assist in improving the school system. I support a return of the arts program in public schools as an effective means to address anti-social behavior. I support and promote having an elected school board and increased parent involvement. Affordable housing and healthcare should be accessible to all citizens. Poor job opportunities need to be addressed in certain sectors of the district. I envision mandatory vocational training for youth who opt out of college. I want to close loopholes that promote exclusion by unions. Unions should be accessible to all citizens. It is imperative to address the issue of a sanctuary city status. I believe Sanctuary city status has a negative impact on county resources; The cost burden of health care, clothing, feeding, and education of non-citizens places a great weight on the citizens of Cook County; a cost that has placed American citizens in such debt that generations beyond our sight will be burdened with it.